“Tamboon” is a practiced custom among the Thais of giving alms, often in appreciation of a received blessing, or part of celebrating one’s birthday. 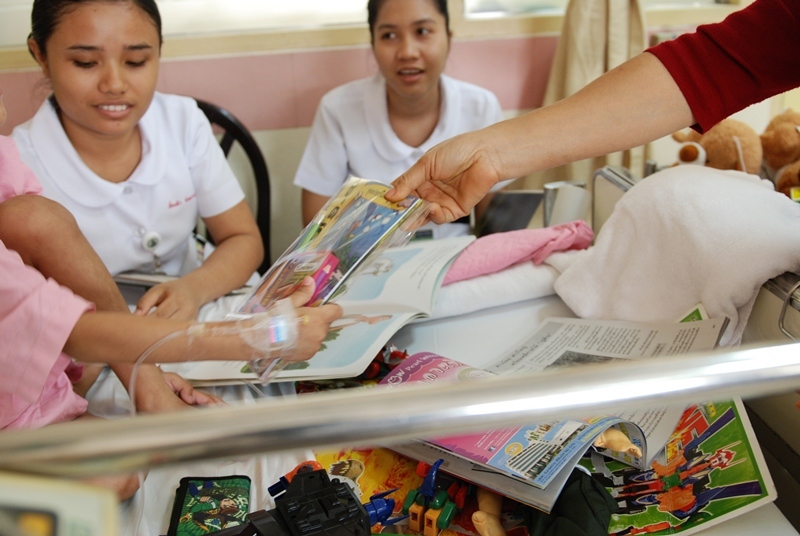 It was through a ‘tamboon’ that we came into contact with the children, nurses and staff of Siriraj Hospital. A good friend of ours wanted to offer a ‘tamboon’ towards the children of the hospital’s Cancer, Burn and Trauma wards and thought of our children’s entertainment programs that have become popular in our humanitarian efforts in Bangkok city and various upcountry provinces.Although in the past 15 years’ we have done many similar events in various other hospitals and institutions, there was a much more profound connection that we felt on our first introduction to Siriraj Hospital. The magic of the first 3 hours of entertaining the children with puppet shows, face painting, balloon sculpting, magic shows, games, gifts and laughter has continued beyond this ‘tamboon’ into our 3rd year this 2012! But truly, the real compliment that came to us was when, after our 2 years of doing this weekly, the Pediatrics and Palliative Department held a special meeting with us to inaugurate the CHILD LIFE PROGRAM of palliative care and treatment, endorsing officially the activities that we’ve been doing there as remedial, effective and supportive of their initiative’s goals and officiating us as members of their program’s team! Our greatest joy however, has always been the children! To speak of remedy and healing, we can all testify that every visit there, with every child and parent there, has brought so much ministering to our very own hearts, spirits and emotional well-being. To see and experience such courage and fight from the children and their parents, paralleled with the commitment and dedication of the hospital staff, nurses and caregivers is enriching – it’s what community is all about. We want to thank Activated Ministries for their support in sponsoring those significant products and toys to all the patients. 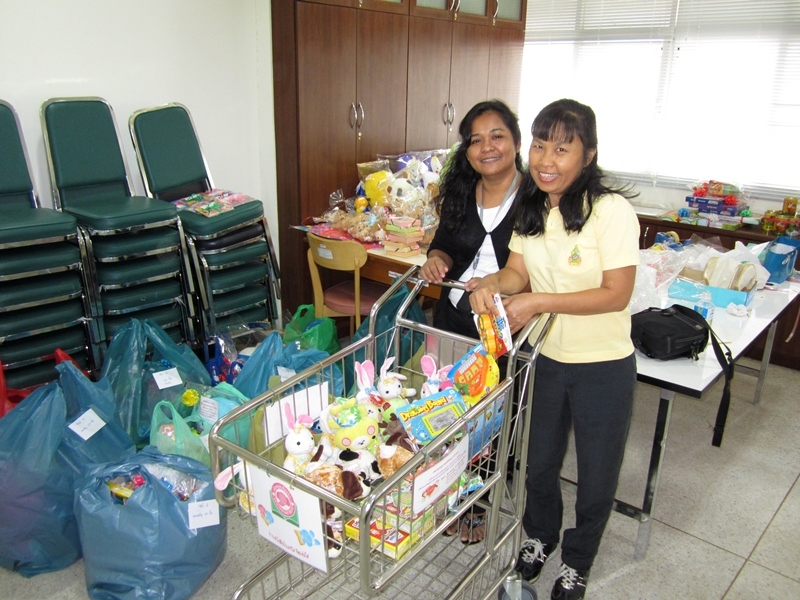 In Behalf of the Pediatrics and Palliative Department of Siriraj Hospital, we want to thank you for helping to brighten those children’s life.